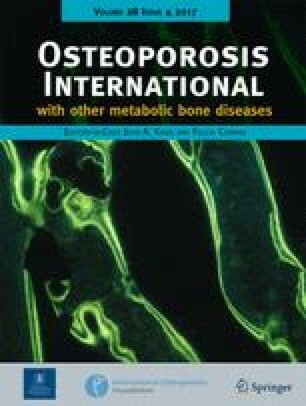 In non-osteoporotic postmenopausal women with breast cancer, aromatase inhibitors (AIs) negatively affected bone mineral density (BMD), lumbar spine trabecular bone score (TBS) as a bone microarchitecture index, and hip geometry as a bone macroarchitecture index. AIs increase the risk of fracture in patients with breast cancer. Therefore, we aimed to evaluate the long-term skeletal effects of AIs in postmenopausal women with primary breast cancer. We performed a retrospective longitudinal observational study in non-osteoporotic patients with breast cancer who were treated with AIs for ≥3 years (T-score >−2.5). 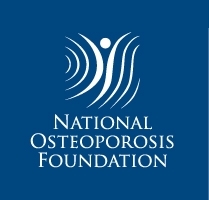 Patients with previous anti-osteoporosis treatment or those who were given bisphosphonate during AI treatment were excluded from the analysis. We serially assessed BMD, lumbar spine TBS, and hip geometry using dual-energy X-ray absorptiometry. BMD significantly decreased from baseline to 5 years at the lumbar spine (−6.15%), femur neck (−7.12%), and total hip (−6.35%). Lumbar spine TBS also significantly decreased from baseline to 5 years (−2.12%); this change remained significant after adjusting for lumbar spine BMD. The annual loss of lumbar spine BMD and TBS slowed after 3 and 1 year of treatment, respectively, although there was a relatively constant loss of BMD at the femur neck and total hip for up to 4 years. The cross-sectional area, cross-sectional moment of inertia, minimal neck width, femur strength index, and section modulus significantly decreased, although the buckling ratio increased over the treatment period (all P < 0.001); these changes were independent of total hip BMD. Long-term adjuvant AI treatment negatively influenced bone quality in addition to BMD in patients with breast cancer. This study suggests that early monitoring and management are needed in non-osteoporotic patients with breast cancer who are starting AIs. The online version of this article (doi: 10.1007/s00198-016-3899-6) contains supplementary material, which is available to authorized users. We appreciate the Medical Research Collaborating Center (MRCC) of Seoul National University Hospital for statistical analysis. The study was conducted in accordance with the Declaration of Helsinki and complies with the current laws of the countries in which it was performed. An independent ethics committee or institutional review board for each study site approved the study protocol. An informed consent was waived due to a retrospective study. This study was supported by a grant from Seoul National University Hospital (No. 0420140760 (2014–1293)). The study was approved by the institutional review board of Seoul National University Hospital (No. H-1601-057-734) and was conducted in accordance with the Declaration of Helsinki. Informed consent from the study participants was waived due to the study’s retrospective nature.